Bali Cabin Stays: Epic Deals on Mountain & Wood Cabins! Situated in Tabanan, this cabin is 2.7 mi (4.4 km) from Taman Ayun Temple and 3 mi (4.8 km) from Alas Kedaton. Ubud Monkey Forest and Sangeh Monkey Forest are also within 9 mi (15 km). 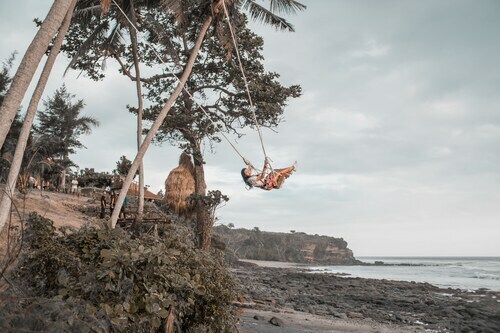 This Selemadeg cabin is on the beach, 0.1 mi (0.1 km) from Soka Beach, and within 12 mi (20 km) of Balian Beach and Pura Ulun Siwi. Kedungu Beach and Petitenget Beach are also within 20 mi (32 km). What?! It’s only Wednesday!? You’ve been counting the days for far too long. Every minute seems like an hour. The clock’s hands are moving at a snail’s pace. Are they even moving? Has time stopped altogether? It’s clear you have a serious case of cabin fever. 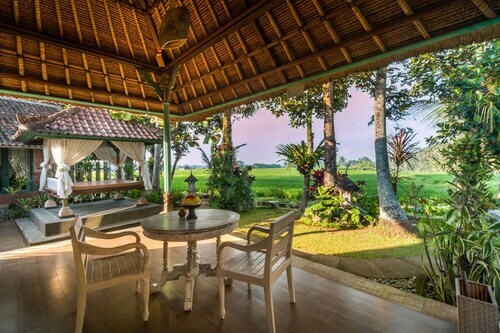 The only known cure is to holiday in a Bali cabin rental and get away from your world for a bit. Seriously, a cabin holiday is exactly what you need. No matter what you intend to do in Bali, a cabin is the perfect home base for all your upcoming adventures. Pick one close to all the fun or on the outskirts of town—just getting there is half the work of holidaying! If you need a little help, check out the variety of cabins we have to choose from. And forget all your mental images of log cabins—there will be no real roughing it on your holiday. These cabin rentals have all the amenities you’ve come to expect on a great getaway. You’ll find comfy beds, well-stocked kitchens, and maybe even a roaring fireplace that’ll make a perfect backdrop for some great photos. Want to decompress even more? 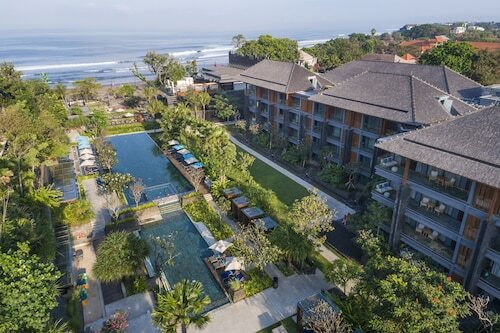 Rent a Bali with a hot tub and take in those postcard-worthy views while relaxing to the fullest. Here at Wotif, we’re all for mixing it up on your holiday. Sometimes you just need a quiet place away from it all, and we are here to help. We have a variety of Bali cabin rentals to pick from. And with great prices, you’re sure to find an awesome cabin deal to cure your fever.